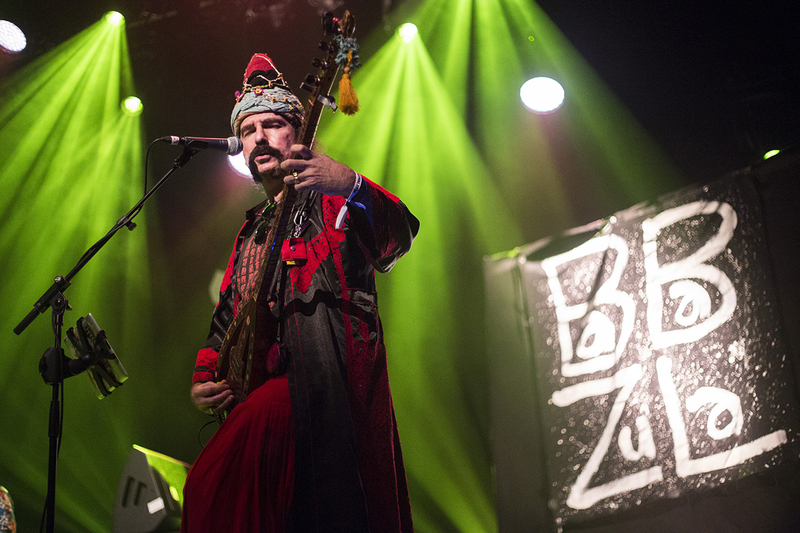 Turkish psychedelic music group Baba Zula performed the opening set for the legendary Selda Bağcan at Le Guess Who? 2014. We now bring you the recordings of the show, ahead of the band's return to Utrecht next week, playing Cosmosis at EKKO on Friday, April 20. Baba Zula uses an outlandish mix of field recordings of natural sounds, traditional Turkish instrumentation and modern acoustic and electronic musical instruments and effects. While predominantly Turkish folk-inspired, they also blend in reggae and dub influences. The result is something surreal. Unheard of. Mesmerizing even. They have invented a method of ‘defined improvisation’ in their ritual-like live shows, which allows them to utilize the benefits of improvised jams as well as predefined song structures. Recordings made by Marc Broer, in cooperation with VPRO / Vrije Geluiden. Also listen to Selda Bağcan’s captivating performance at Le Guess Who?.